We currently have a vacancy for a Volunteer Teller to cover Tuesday mornings, 9am - 12 noon. This will involve taking and recording payments and ensuring members accounts are accurately updated. Full training will be given. 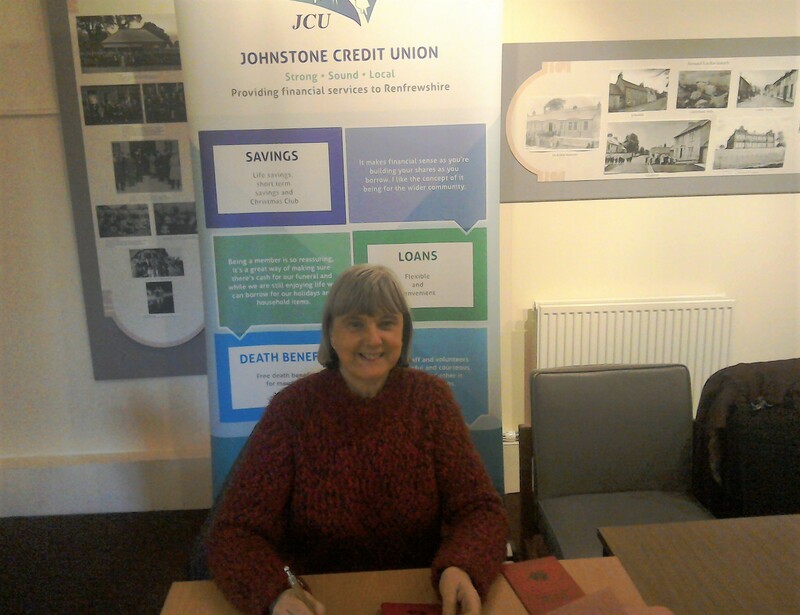 We would also like to welcome Alice as our newest volunteer supporting the Lochwinnoch Collection. This collection operates in Lochwinnoch Library, every Tuesday 2pm - 4pm. We are looking for members to support Alice, this could be weekly along with Alice, once or twice a month to share the responsibility or odd occasions when Alice is unable to attend. If you can spare a couple of hours at the specified times and are interested in any of the opportunities, or would like more information, then please get in touch, 26 Church Street, Johnstone, 01505 327148, enquiries@johnstonecu.co.uk or come along to the collection in Lochwinnoch.